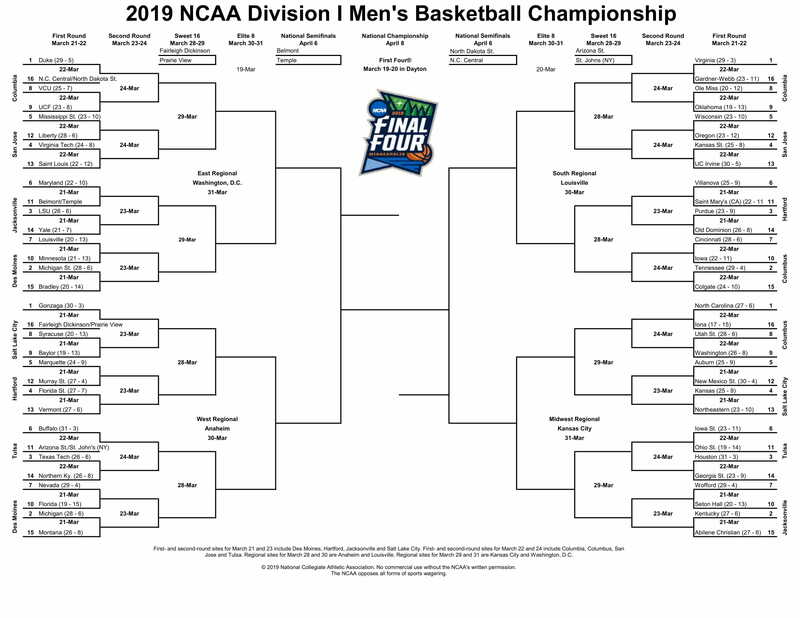 Sunday, March 17th, is Selection Sunday for the Men's March Madness Tournament. 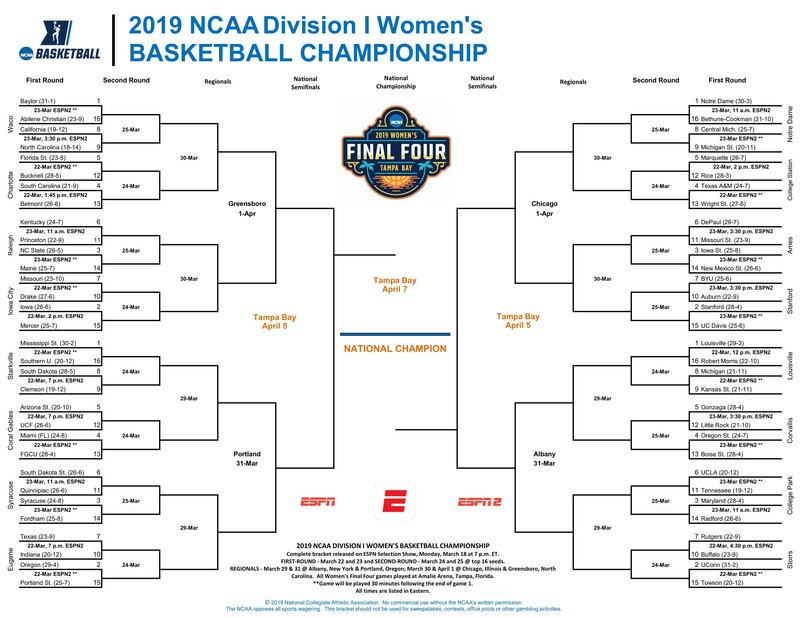 Monday night, March 18th is the selection night for the Women's March Madness Tournament. The March Madness bracket predictions can begin. What are your chances of picking every game? How does the change from 64 to 65 to now, 68 teams in the field complicate things? How many brackets would you need to fill out to pick every possibility? How many reams of paper would you need to print all of those brackets? Let’s do the math! Also, check out the video below that explores your odds of picking all games in the tournament perfectly. Note: The last problem in this activity asks students to determine how a math professor came up with a particular probability. We are not sure how the professor came up with 1/128 billion, we give a few possibilities in the solutions. The main point of that question is to promote some creative thinking and discussion while students grapple with ways to reach 1/128 billion. Thanks to Matt Timmins, Newton teacher, for creating the draft of this post. ← April just had a new baby!